In 1878, the collapse of the Tokugawa Shogun Age and the rise of the Meiji Restoration Era brought an end to the Age of Samurai. 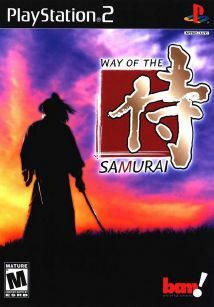 Way of the Samurai puts you in the role of a wandering samurai who is drawn into a conflict between the Kurofu family and the Akadama Clan over an iron foundry. As you meet with both sides of the dispute, you can use deception, betrayal, or combat to shape the outcome of the conflict. Pick up dozens of different swords, each representing a different fighting style.